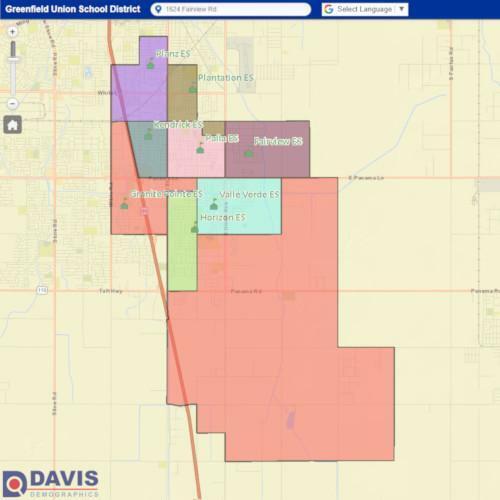 and middle school attendance areas in the Greenfield district. Double-clicking on the map will zoom in. Using the scroll wheel on the mouse will allow you to zoom in and out. Clicking and dragging the mouse will allow you to move the visible area. Clicking the Layers menu in the top right will allow you to switch between displaying elementary school areas and middle school areas. Clicking on any of the school icons on the map will give more information for that school. Entering an address in the text box at the top left will display the attendance area that address falls into.